The Mama Summit featured information sheets about the negative effects of climate change and measures mothers can take to fight them. 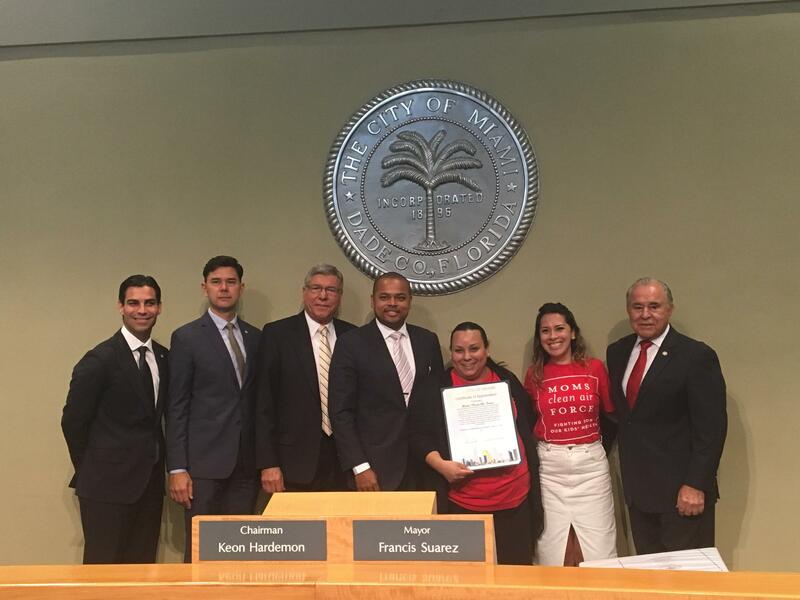 Moms Clean Air Force were awarded a certificate of appreciation by the Miami City Commission. Red t-shirts are icons of the Moms Clean Air Force. 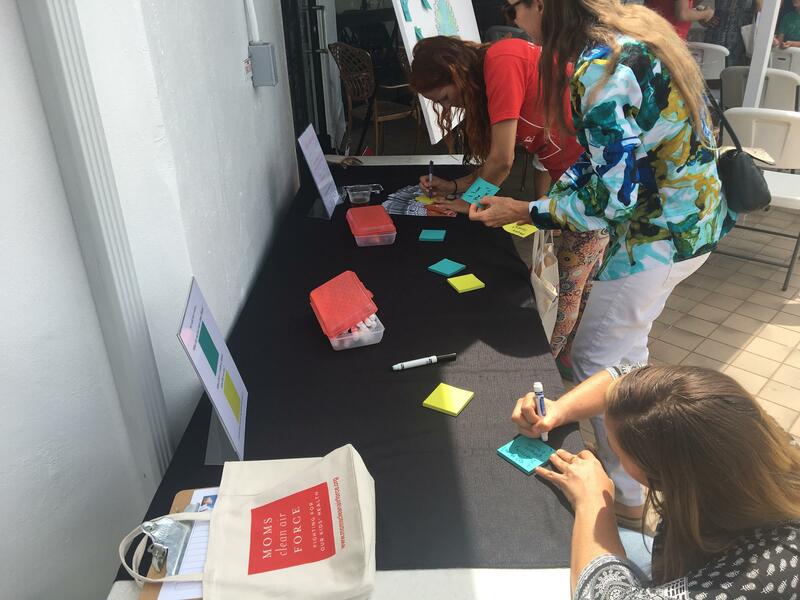 Mothers write what they love about Miami and what they what they want the city to be. Magaly Fuentes brought her son Avel to participate in the summit. Miami City Resilience Officer Jane Gilbert delivers her remarks at the panel discussion. Caroline Lewis, Executive Director of The CLEO Institute, talks about the importance of raising public awareness about climate change. 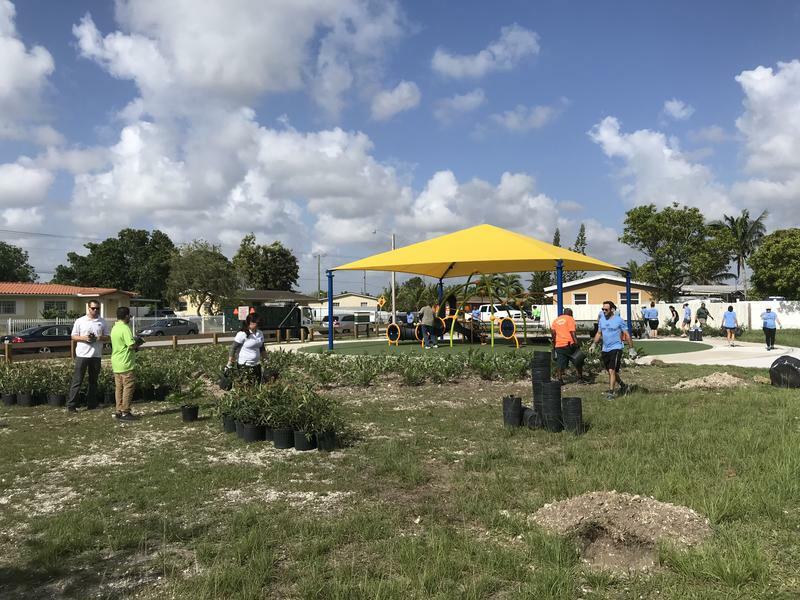 Catalyist Miami's Climate Resilience Director Zelalem Adefris emphasized the link between community activism and policy initiatives. 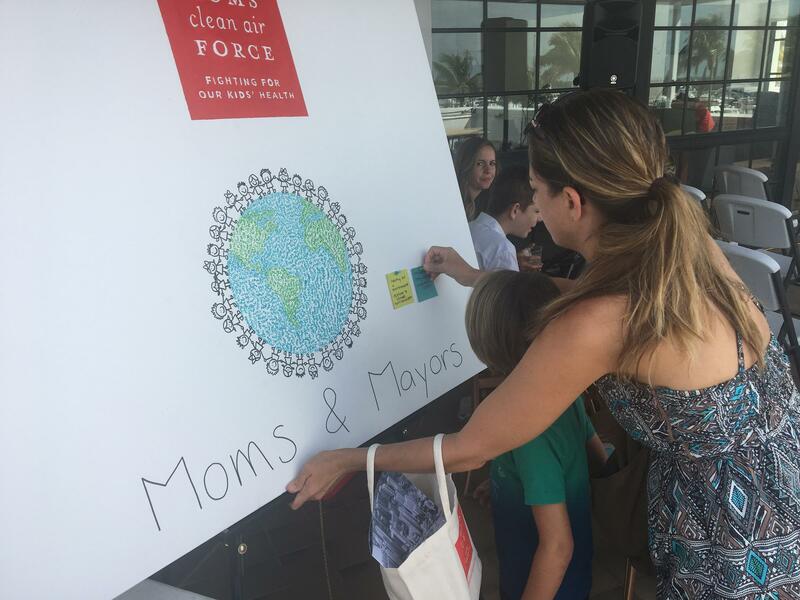 South Florida moms celebrated Mother’s Day by hosting a panel discussion about climate change resilience, calling it a "Mama Summit." 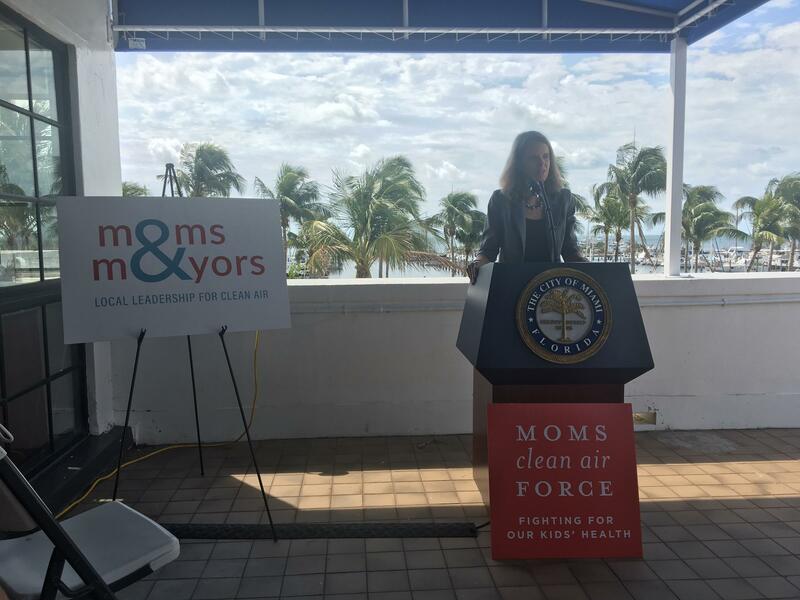 The moms, who represent a group called Moms Clean Air Force, told government officials they share a concern for a sustainable future. 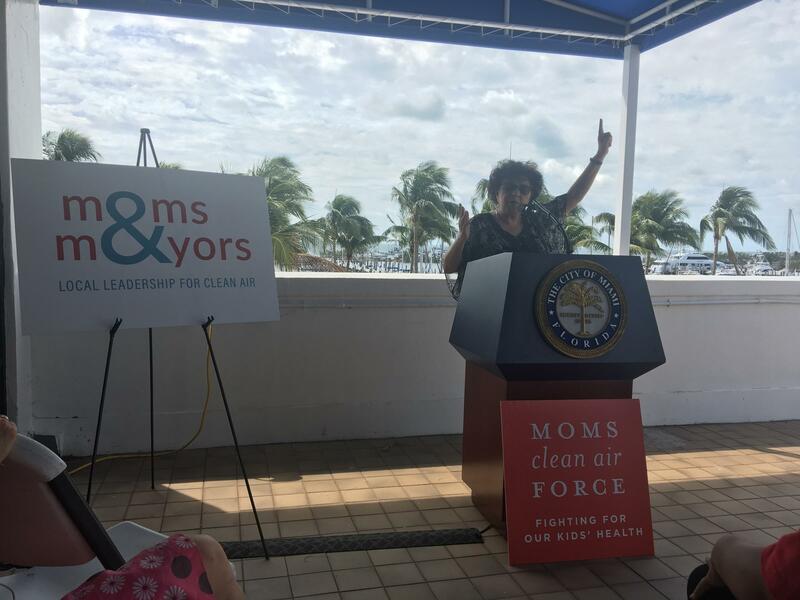 Karina Castillo is the Florida Field Consultant for the group, a national community of over one million parents working to combat air pollution and climate change. She emphasized the importance of local community engagement against climate change. 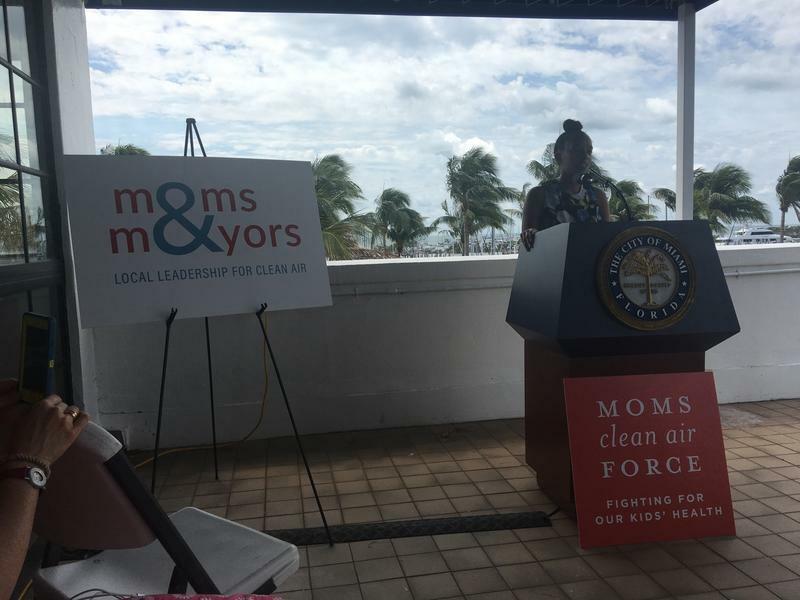 Moms Clean Air Force organized Mother's Day summits in 11 cities across the country, engaging local government officials and stakeholders to address the negative impacts of climate change. Miami City Hall was one of the hosts. In recognition of their work, members of Moms Clean Air Force were awarded a certificate of appreciation at the Miami City Commission meeting. Magaly Fuentes was at the summit with her five-year-old son Avel. She said environmental activism turned personal when she became a mother. The panel discussion featured remarks by City of Miami’s Chief Resilience Officer Jane Gilbert, Executive Director of The CLEO Institute Caroline Lewis, and Catalyst Miami’s Climate Resilience Director Zelalem Adefris. Discussion topics included not only climate change prevention but also the need to raise public awareness surrounding the issue and work with government officials to improve climate resilience infrastructure. 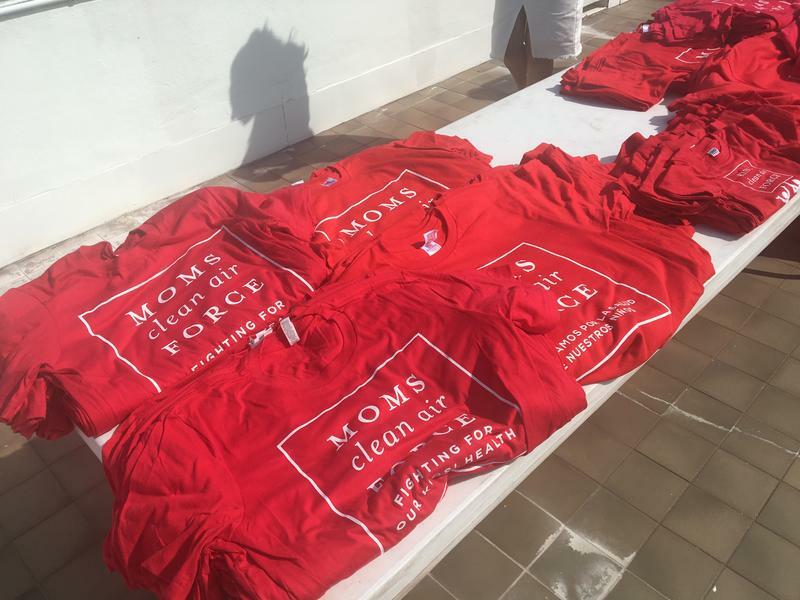 Moms Clean Air Force is planning the Annual Play-In for Climate Action on Capitol Hill in Washington D.C. on July 11, where families from across the country will be able to meet with legislators. 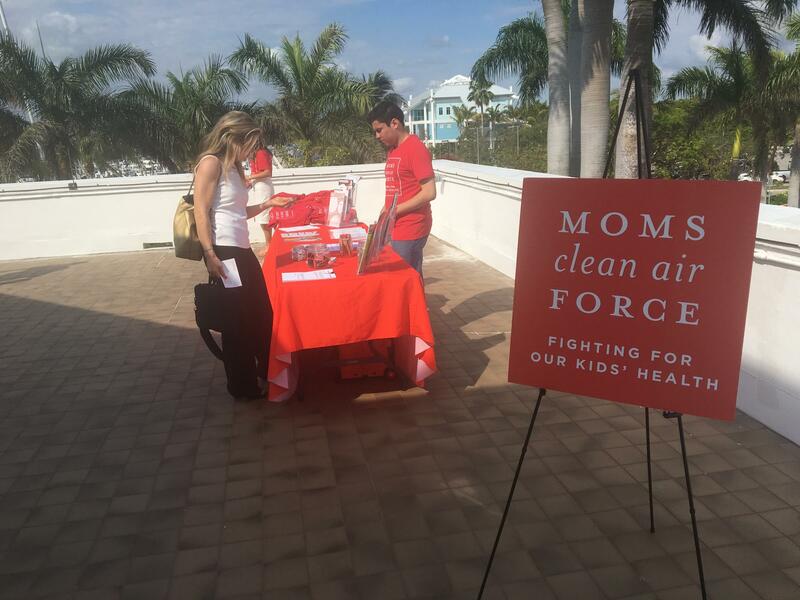 More information on Moms Clean Air Force can be found here.